Dr. Joann Lindenmayer is presently Senior Manager of Disaster Operations and Director of the Haiti Program for Humane Society International, a position she has held since July 2014. Formerly the Associate Professor of Public Health in the Department of Infectious Disease and Global Health at Tufts Cummings School of Veterinary Medicine, she served as Director of the DVM-MPH Track of the Medical School’s Combined MPH Program. She presently holds adjunct appointments at the Medical School and a faculty affiliation with the Tisch College of Citizenship and Public Service. A former Peace Corps volunteer in Sabah, East Malaysia, Joann Dr. Lindenmayer graduated from Tufts University School of Veterinary Medicine and traveled to Niger where she conducted epidemiological studies of constraints to sheep production among semi-nomadic herders, and ran a small pro bono clinic for expatriate dogs and cats. She earned an MPH degree at the Harvard School of Public Health and was awarded a fellowship from the Medical Foundation for her research on dogs as sentinels for geographic spread of Lyme disease. In 1992 she joined the CDC’s Epidemic Intelligence Service and was sent to the Vermont Department of Health, and in 1994 she was chosen as a Fellow in the CDC’s State-based Epidemiology for Public Health Practice (STEPPS) Program and was assigned to the Rhode Island Department of Health. From 1994 to 2005 she held joint appointments in the Department of Community Health at Brown Medical School, where she founded the MPH Program in 1999, and the Rhode Island Department of Health, where she served as a chronic disease epidemiologist specializing in diabetes prevention and control. She joined the faculty at Tufts Cummings School in 2006 where she served on the Global Health Council. Dr. Lindenmayer was the recipient of a One Health grant from the Rockefeller Foundation and she, along with colleagues in Indonesia and Thailand, assessed the application of a One Health approach to disease prevention and control by veterinarians during the avian influenza pandemic in Southeast Asia. She is former Co-Principal Investigator for the Cummings School award from USAID’s RESPOND component of its Emerging Pandemics Threats Program which, now in its second phase, aims to improve the capacity of health professionals from human, animal and environmental health to collaborate in responding to outbreaks of emergent zoonotic diseases. In 2013 she received the Roy Montgomery Award from the Evidence-Based Veterinary Medical Association for developing a biostatistics course using the flipped classroom model for practicing veterinarians. She has published widely in peer-reviewed journals, including the Journal of the American Veterinary Medical Association, Journal of Public Health Policy, the CDC’s Morbidity and Mortality Weekly, Public Health Reports, the Journal of Clinical Microbiology, Archives of Internal Medicine, the Journal of African Health Sciences ("Animals as key promoters of human resilience"), Journal of Small Animal Practice, Journal of Veterinary Medical Education, American Journal of Public Health and Tropical Animal Health and Production, and Rhode Island Medicine, and she has co-authored scientific reports for the US Food and Drug Administration and USAID. 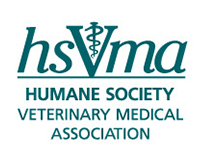 In addition to her work with HSI and HSVMA, she is Chair of the Board of the One Health Commission, and serves on the Board of Directors of the Massachusetts Animal Coalition (MAC). She is owned by three rescued dogs (Cole, Lily, and Ty) and two cats (Zipper and OJ).